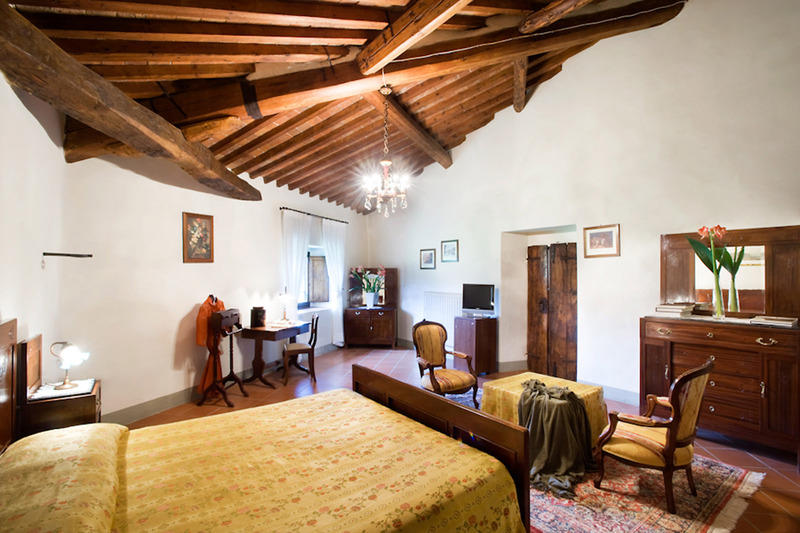 The Superior Double Rooms revel in splendid views of the Mugello valley, the park, or the olive grove. These bright and spacious rooms are available with either double or single beds. 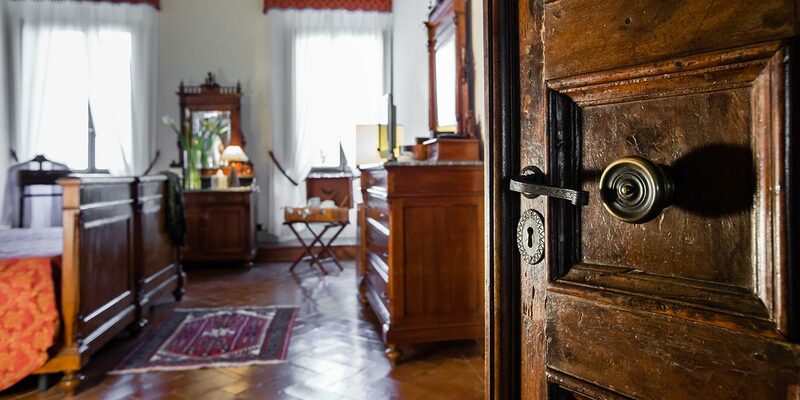 These rooms are furnished with a desk and antiques that highlight the distinctive architectural characteristics of the rooms. Room measurements vary from 30 to 35 sqm (325 sqft to 376 sqft). The bathrooms, equipped with a bathtub or shower, are tiled with the artistic ceramics of the “Antica Manifattura Chini” in Borgo San Lorenzo.